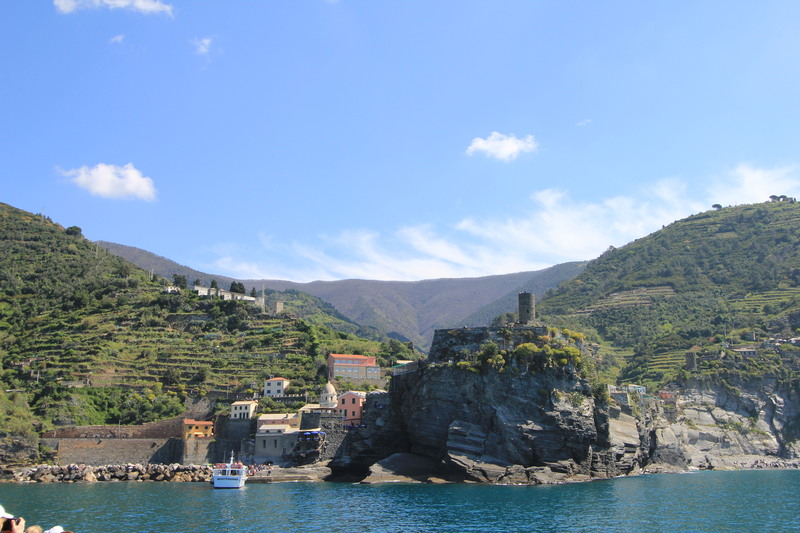 Cinque Terre, Italy – is there not a more beautiful place? 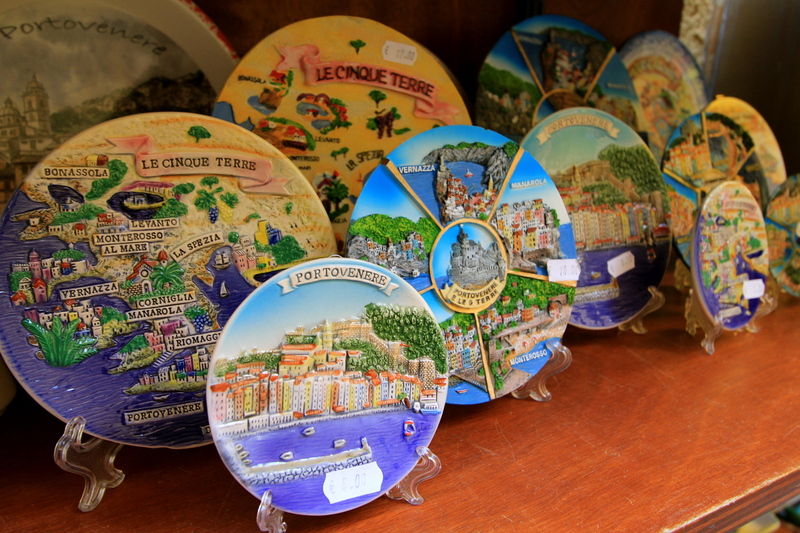 After sailing through the Greek Islands, we took the next portion of the cruise along the Italian coast and French Riviera. 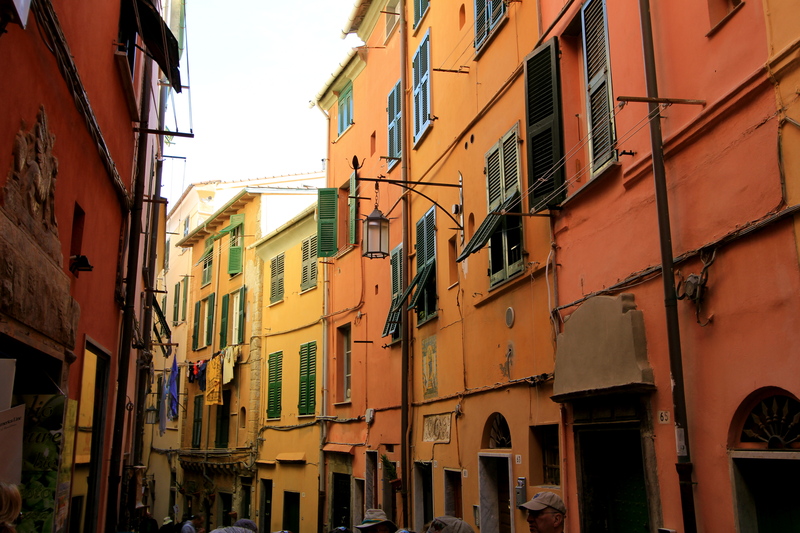 Our first stop was the city of Livorno, Italy. 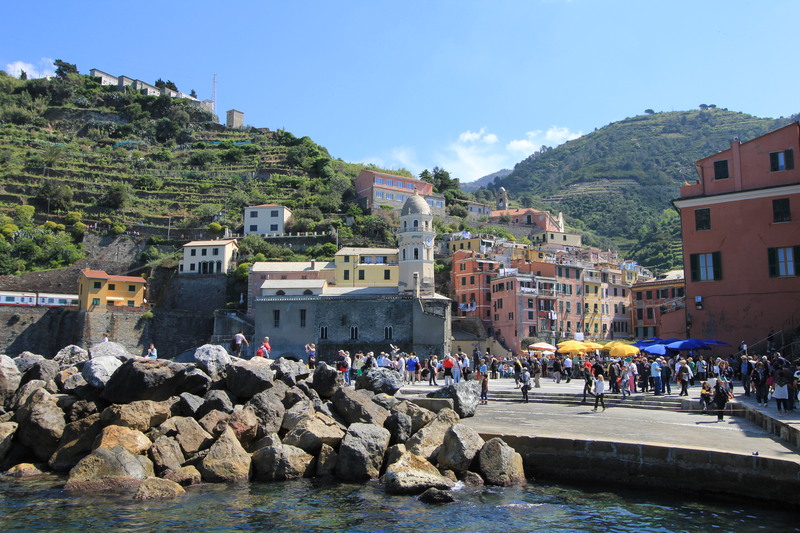 From here, we could take excursions either into Florence or Pisa, but since we plan to be back in a year to see those, we chose to visit the Cinque Terre portion of Italy. 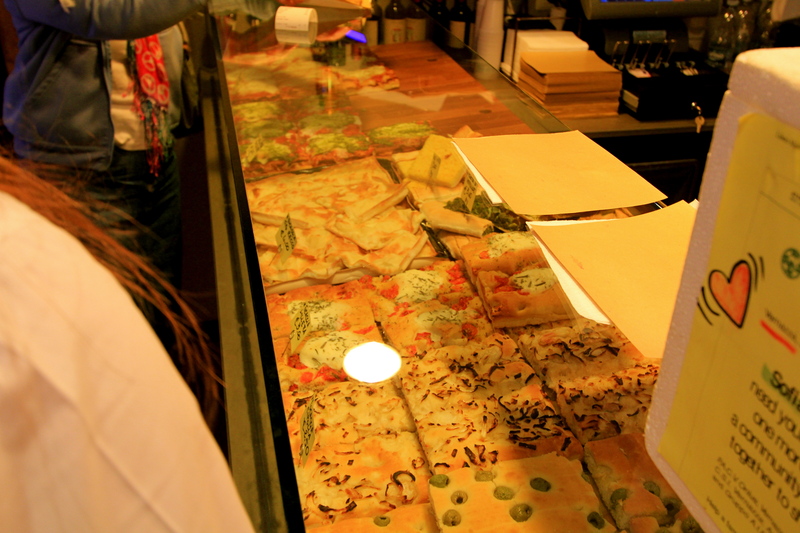 And, we are so glad we did, as it is truly amazing. 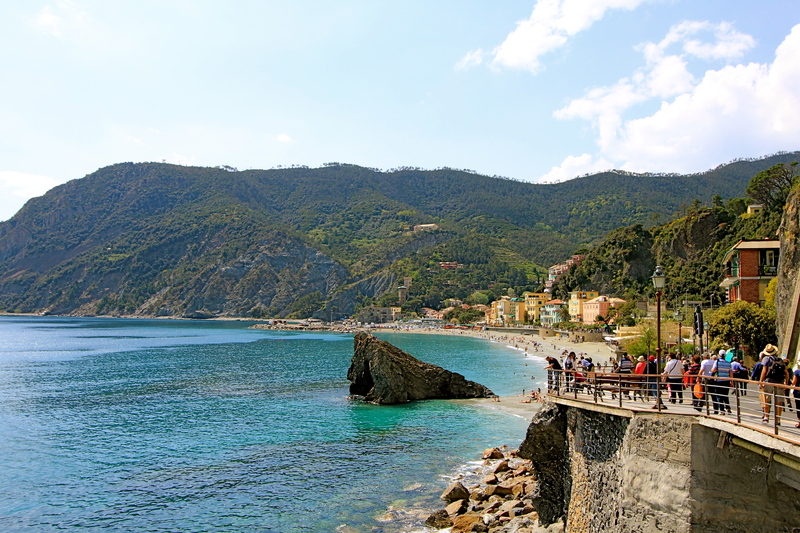 Cinque is Italian for “five” and Terre means “Land”, and this area is known for the colorful buildings stacked on top of each other along cliffs and into small coves along the Mediterranean Sea. 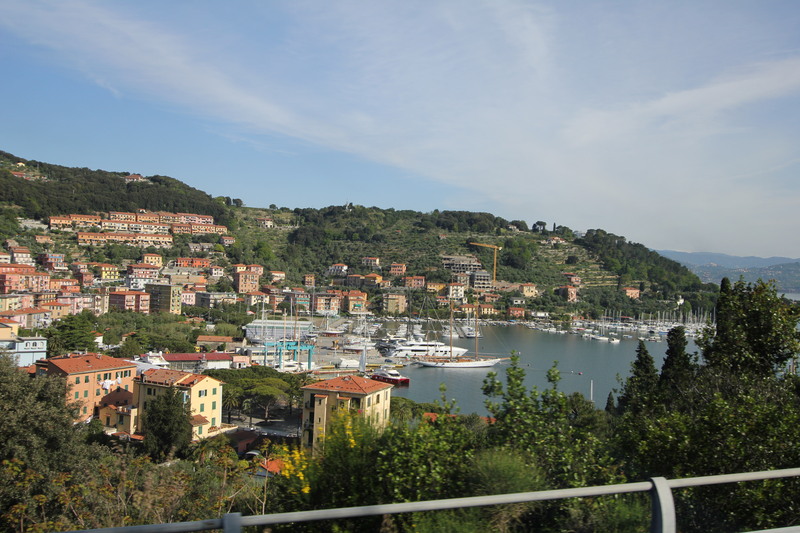 In our tour, we traveled by bus, boat, train, and hiked on foot. 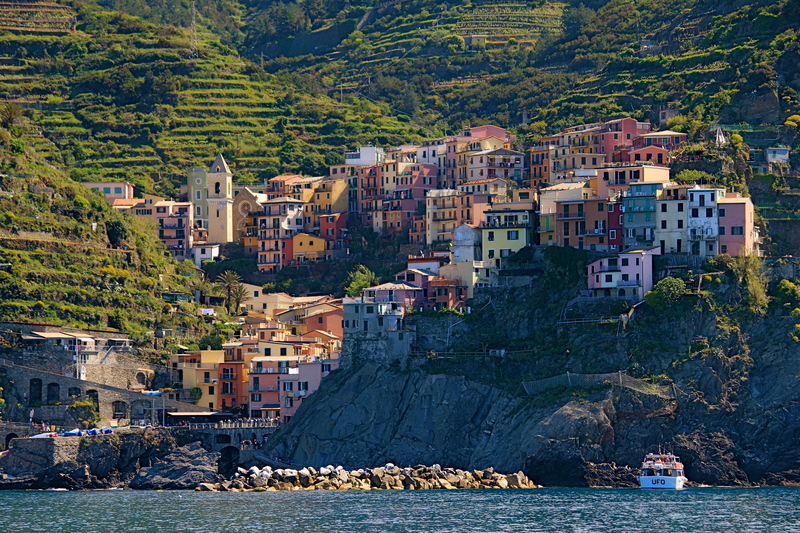 Pictures simply do not do the the colors and scenery justice, as we visited each of the 5 villages making up the Cinque Terre. 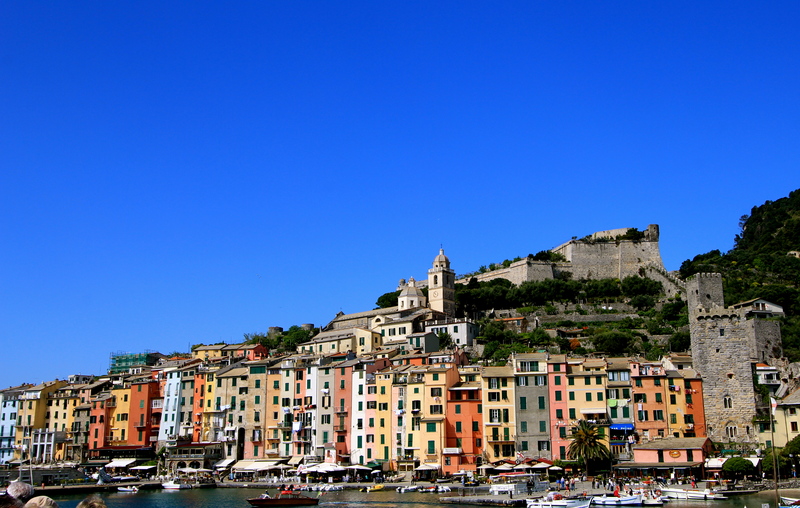 After about an hour bus ride northwest of Livorno, we arrived to the sea side town of Porto Venere. 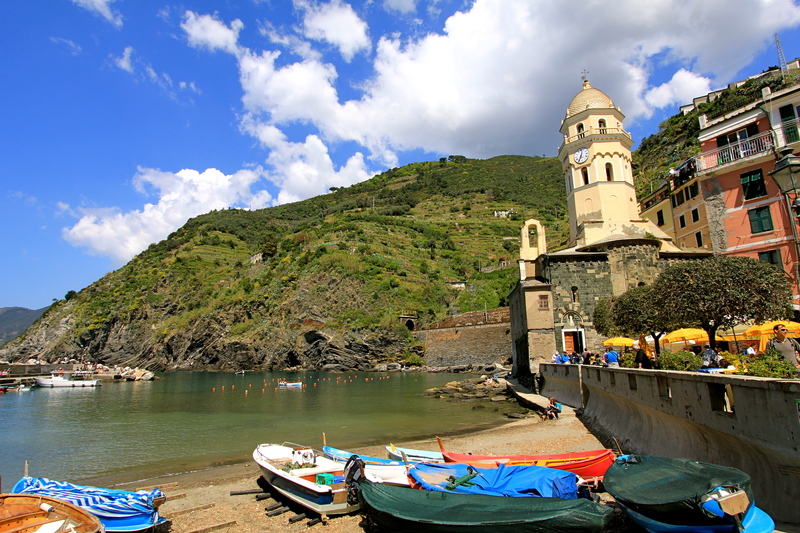 This town dates back to the 1st century BC, and has primarily been a fishing village. 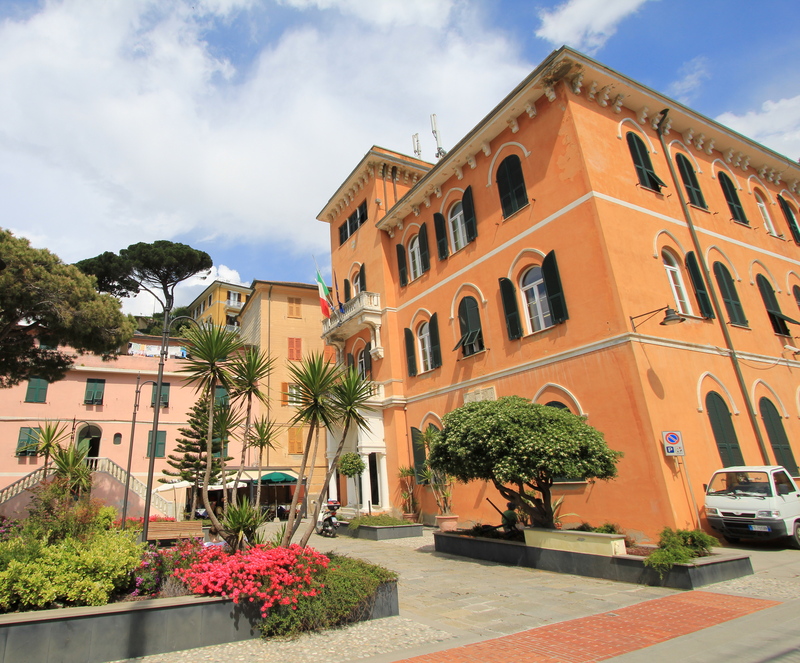 At one time it was the home of Napoleon’s French Navy in Italy. 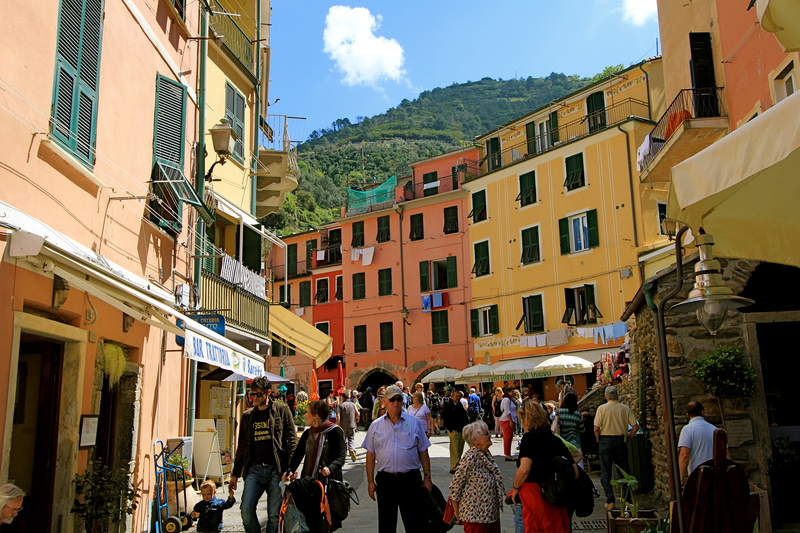 This town is where we board our tour boat to see the Cinque Terre from the sea. 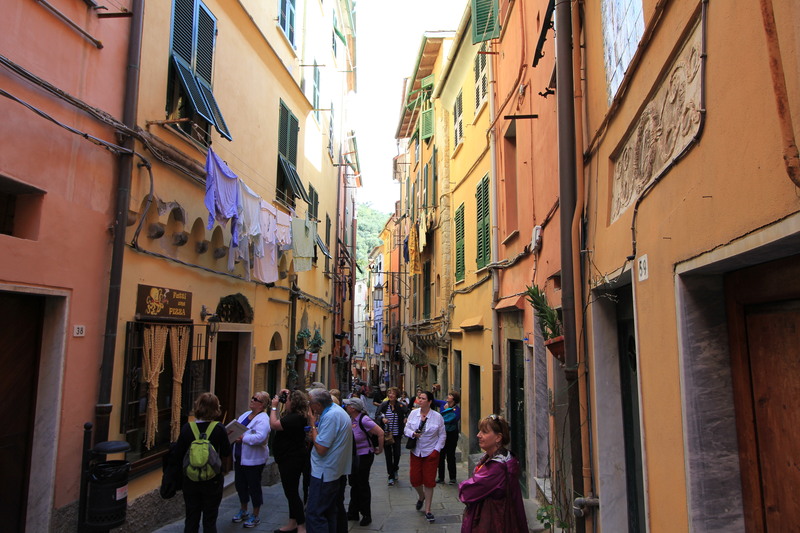 Once through the protected walls, you walk through very narrow, and colorful streets filled with shops and cafes at street levels, and people apartments above them. 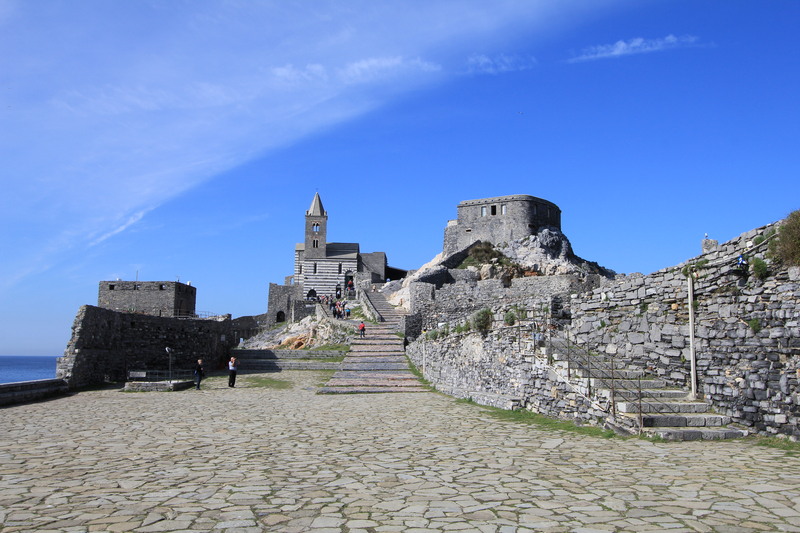 The streets of the old town lead to the sea and to the Church of St. Peter established in 1198. 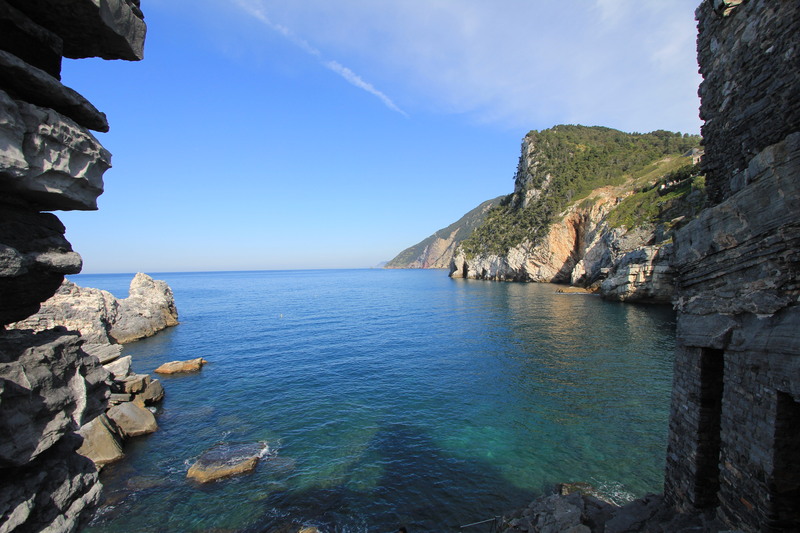 Lord Byron, who is a famous English poet loved this spot and would meditate and swim here in the early 1800s. His works include “Don Juan” and “She Walks in Beauty”. 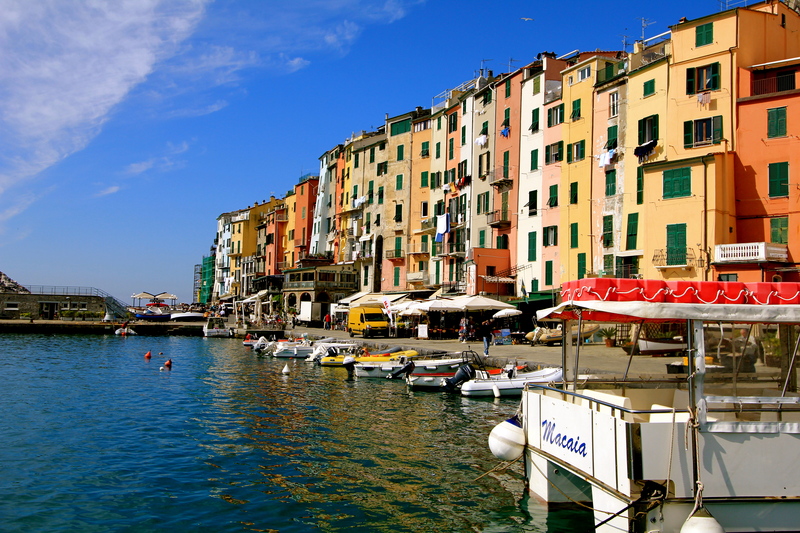 The marina area of Porto Venere is very much a post card itself, even though the Cinque Terre gets all the fame. 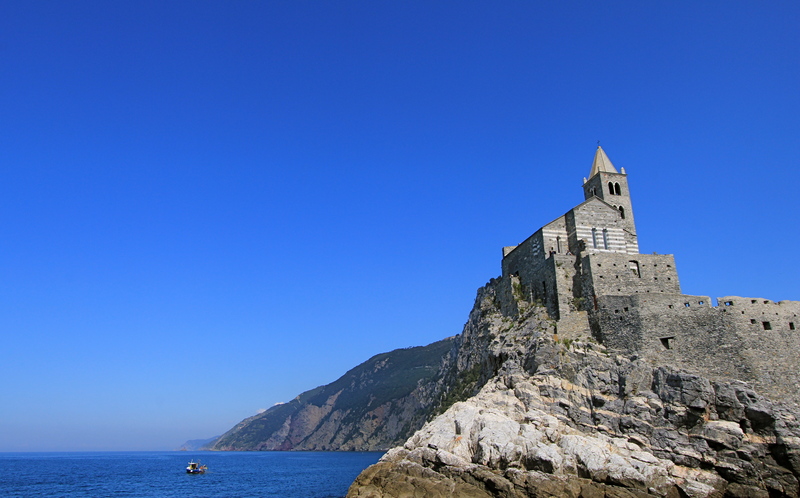 View of the Church of St. Peter from our tour boat as we left Porto Venere. 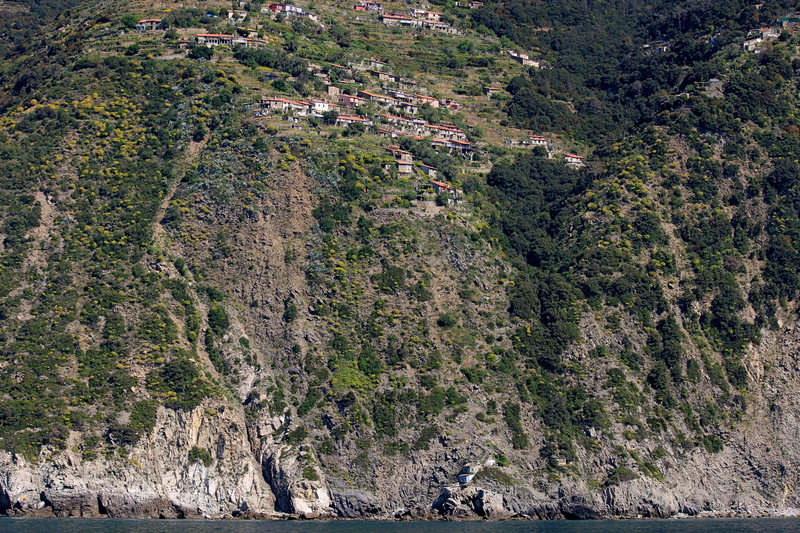 As our boat made its way to the first town of Riomaggiore of the Cinque Terre, we past many neighborhoods with their homes perched on top of cliffs. 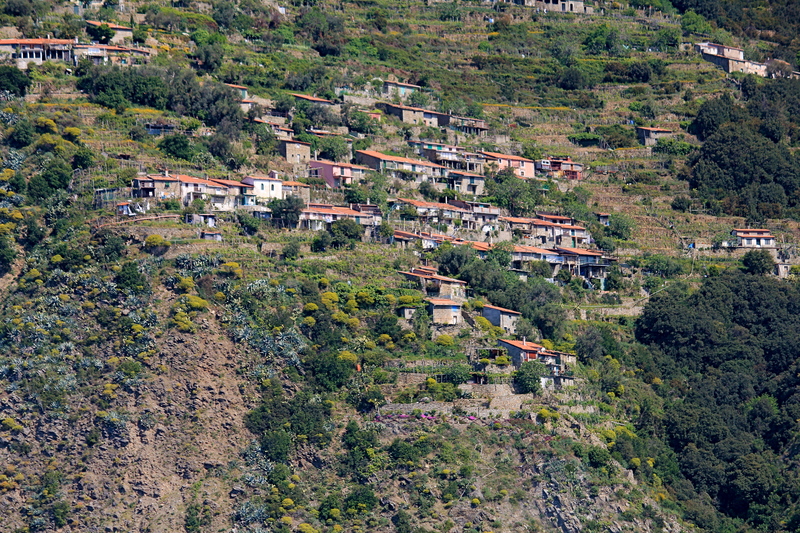 Zooming in, you can see how challenging it must be to live here. 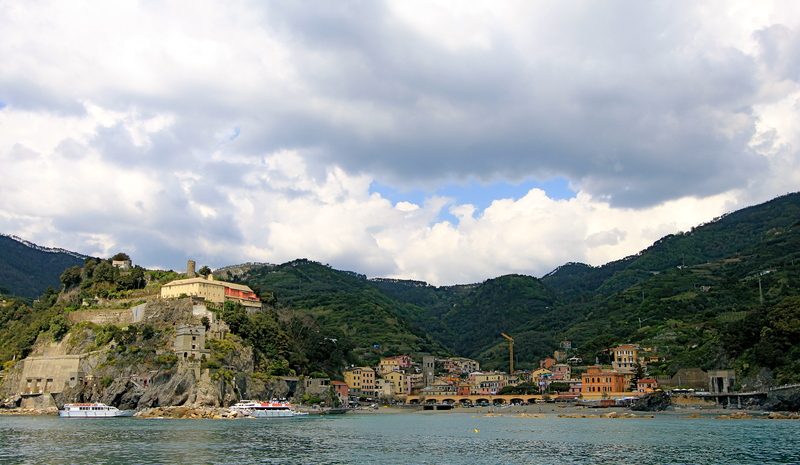 The legend is that homes were built up high to protect them from invading pirates….arg!! 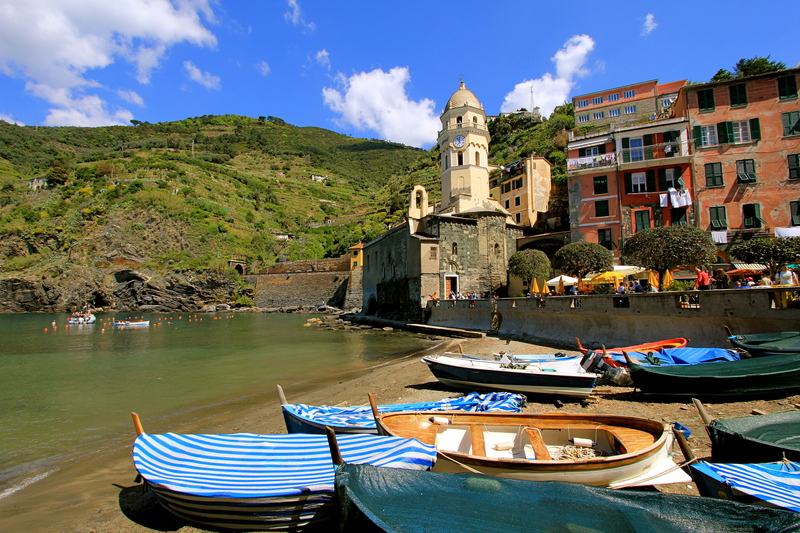 The village of Riomaggiore. 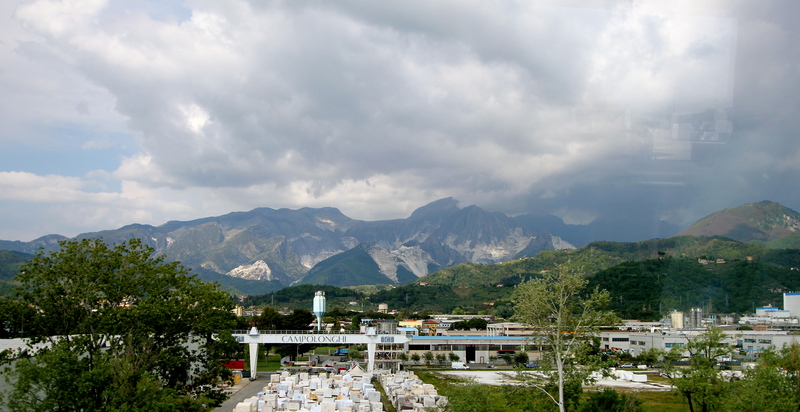 Each of the small towns are connected by a railroad or a hiking trail. 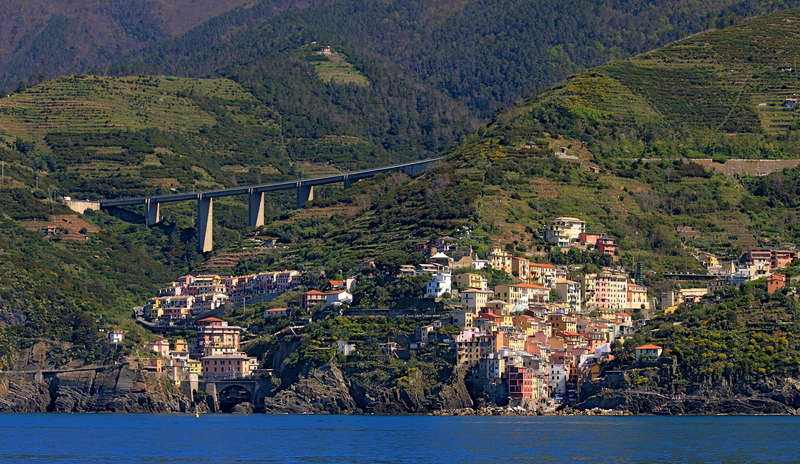 Also, there is a highway, as you can see in the bridge, but one has to drive up to the highway from each town…and, we did not see too many cars! We did not stop in each town, but this area is popular for those that hike, as one can hike between all the towns over a few days. 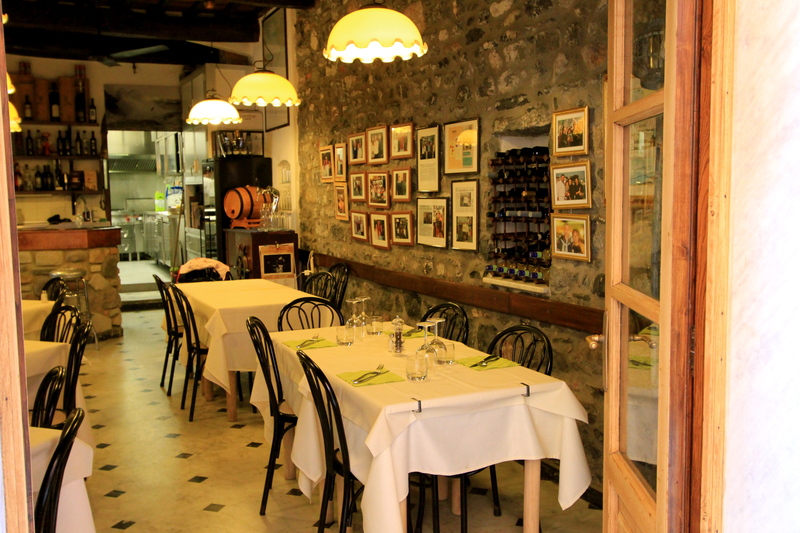 Just love the decor of this cafe in one of the towns we visited. 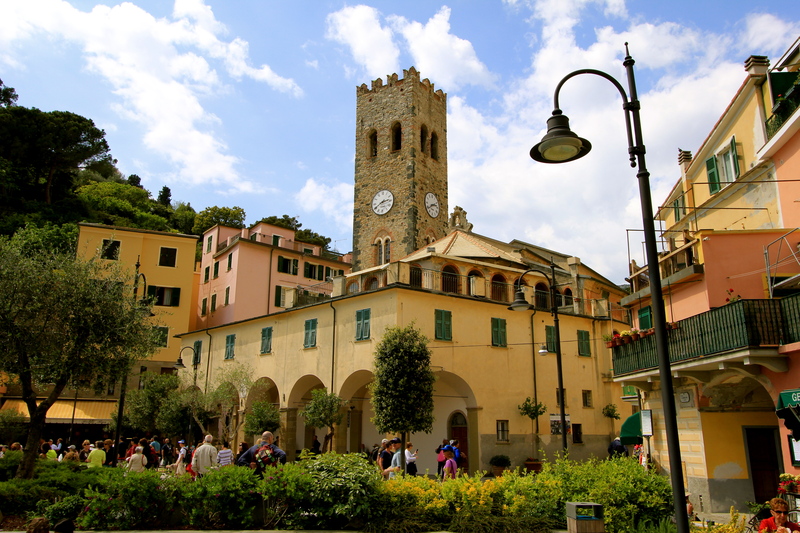 Village of Monterosso, and where we spent a lot of our day. 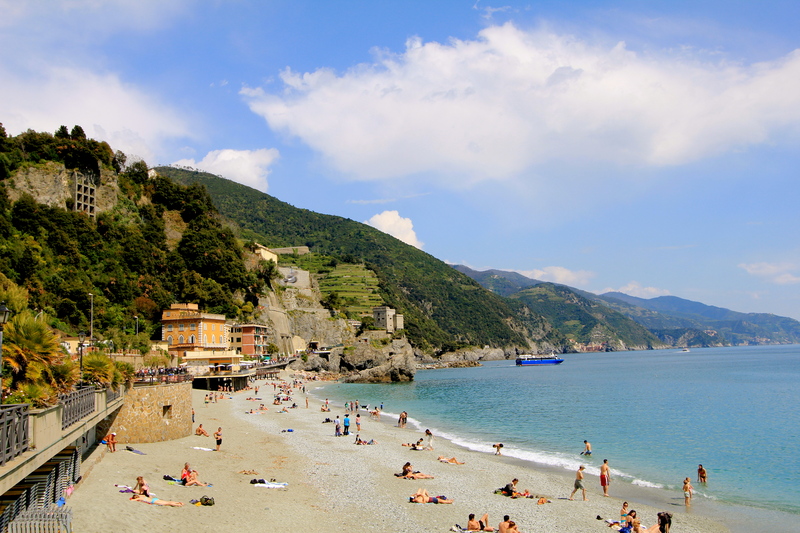 Last view of the beach before boarding the train to take us back…. 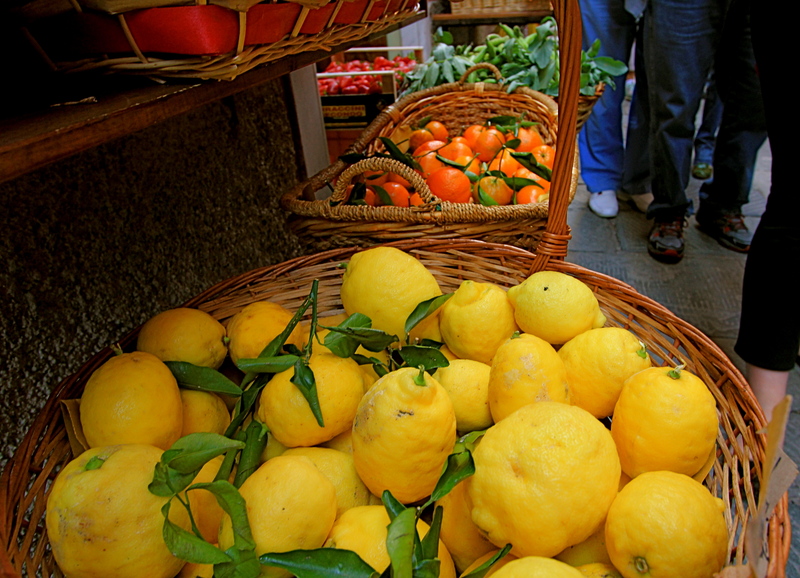 The reds, the oranges, the yellows…all juxtaposed against green & stone mountains with a sea of ever changing hues of blues….I can see why this region has inspired many poets, lovers, and romantics alike. 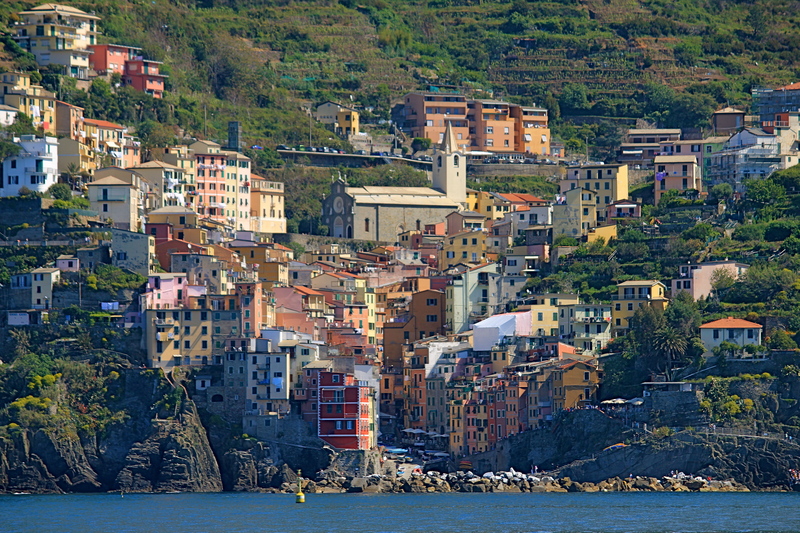 If you want to visit a postcard, then you have got to visit the Cinque Terre. enjoyed browsing your blog posts. After all I’ll be subscribing to your feed and I hope you write again soon!